Now that it's spring, (well on the calender anyway - I know lots of you are still knee-deep in snow) you may be looking to add a fresh new element to your warm weather clothes. Why not try this raw edge applique technique featured in the book Embellishments for Adventurous Sewing: Master Applique, Decorative Stitching, and Machine Embroidery through Easy Step-by-step Instruction and Fun Projects. Click on this page from Embellishments for Adventurous Sewing to enlarge and read the easy step-by-step instructions on how to make a raw edge applique. This step-by-step technique reference introduces and thoroughly explores several methods of fabric embellishment that can be used to adorn clothes, home décor items, or even quilts. With Embellishments for Adventurous Sewing, you'll delve into various methods of appliqué, learn the nuances of free-motion embroidery and thread sketching, and learn to maximize the decorative stitches and embroidery capabilities of your sewing machine. Explore the world of trims and learn creative or tried and true ways to apply them. Try some fabric manipulation techniques to give fabric exciting texture. Each section includes easy-to-follow, illustrated instructions and ends with three to five small projects. Enhance your skills and develop your craft with Embellishments for Adventurous Sewing! Carol Zentgraf is a designer who specializes in sewing, fabrics, and decorating. She is the author of several books and is a frequent contributor of projects and articles to sewing magazines, such as Sew News. She lives in Peoria, Illinois. This beautiful illustrated guide to lingerie takes you through a brief history of lingerie, from girdles and early versions of the bra to modern pieces, and shows you how to properly fit yourself and where to find the most beautiful lingerie. Today I have a terrific tutorial on how to paint on fusible web from the book The Complete Fabric Artist's Workshop: Exploring Techniques and Materials for Creating Fashion and Decor Items from Artfully Altered Fabric. Click on these pages from the CPi book The Complete Fabric Artist's Workshop by Susan Stein to enlarge and read all about painting on fusible web. The Complete Fabric Artist's Workshop is a comprehensive source of all the newest and most popular fiber art techniques! Watch spontaneous designs develop when you try lasagna painting, monoprinting, splash and puddle, and other unique techniques. Burn your silk, rust your cottons, and distress your felt. For each technique, Susan has designed a project that makes the most of your newly crafted fabric. Fuse Angelina fibers into a colorful collage to wrap around plain jars or vases. 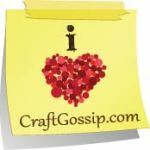 Send your friends one-of-a-kind fabric postcards made with painted fusible web. Give the dining room cozy ambiance with gossamer silk candle covers and monoprinted placemats. The possibilities are endless! Check out Susan's store and some of her work at http://www.colorfulquiltsandtextiles.com. I suppose I must have known that the different names for pants were specific to the different cuts but until I saw these pages from the new book The Complete Photo Guide to Perfect Fitting I didn't know specifically what they were. Now I do. And if you didn't, you do too! And won't you feel like a "smarty pants" when you use the right name in the future? Click on these pages from The Complete Photo Guide to Perfect Fitting to enlarge and read all about understanding body mass, pants volume and the different cuts of pants. Sarah Veblen is a custom fashion designer who focuses on teaching, creating clothing for her clientele, patternmaking and design consultation for young designers, and writing in several venues. She has a Certificate in Fashion Design from Baltimore City Community College and a BA from Stanford University. Dedicated to promoting the craft of clothing design and construction at all levels, Sarah teaches in her studio as well as other classroom venues and PatternReview.com. She has been a guest lecturer at PACC/ASDP chapter events and national educational conferences; at Threadneedle Fabrics in Essex, Vermont; for CG Garment Designs in Colchester, VT; at G Street Fabrics in Rockville, Maryland; at Cañada College in San Mateo, California; and for ASG neighborhood groups in Maryland, Virginia, and California. In 2001, she launched her own Intensive Study Program in Fashion Design, developed for both home sewers and sewing professionals. With an emphasis on design, fit, and pattern development, she currently offers classes on patternmaking, working with knit fabrics, many aspects of design, and sewing techniques. Sarah has more than twenty articles and various other written contributions and garments for THREADS magazine, as well as several “how-to” videos for the THREADS website. She was one of the three designers featured in the 1999 THREADS Design Challenge, and she was the overall winner of 2008 THREADS/ASDP “Fluid Fabrics” challenge. She lives in Sparks, MD.